Fang was a yellow cat with orange stripes and a long, white tooth. 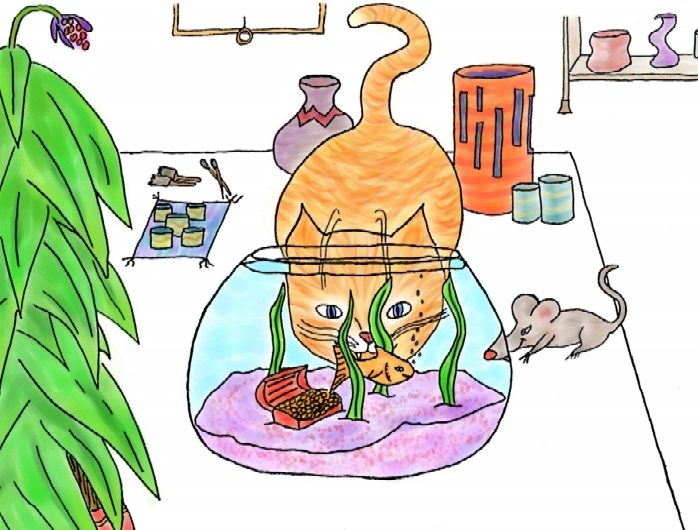 a goldfish named Bubbles, and a kind lady. jars, and bowls out of clay. Some pots were tiny like Small, and some pots were large enough for Fang to hide in. Some pots were round like Bubbles' goldfish bowl. 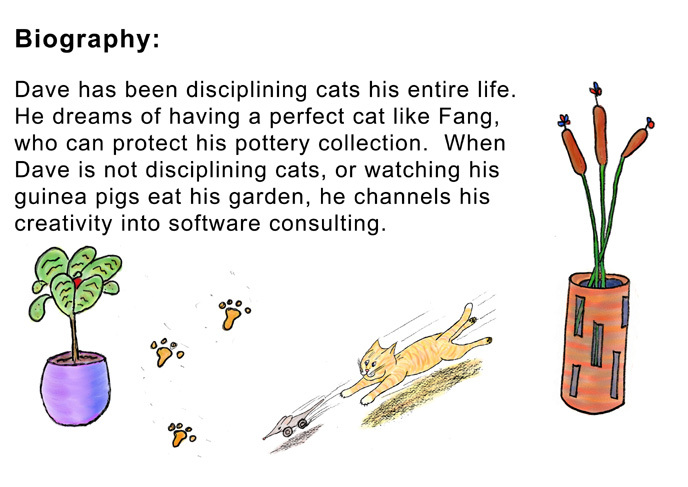 Fang the Cat was written and illustrated by Dave Wolfson. Fang is a thoughtful cat. 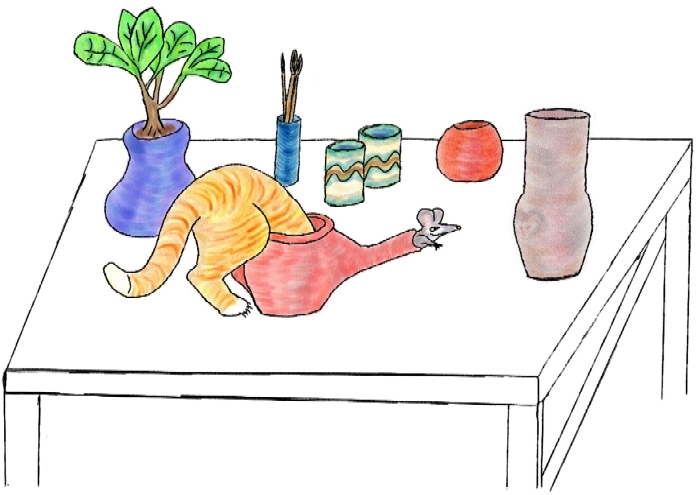 With his friends, Small and Bubbles, he has an adventure with the kind lady's pottery. Fang knows just what to do when the unexpected happens. "Fang is an amazing story! I read it every year to teach my students about loyalty, integrity, friendship, and love."